Are looking for information about United Healthcare drug rehab providers, or United Healthcare drug rehab coverage? While seeking treatment for substance abuse is crucial to millions of people globally, it can be costly, and without insurance, it can be outside many peoples’ budgets. this article will discuss United Healthcare drug rehab coverage and what to expect from them. 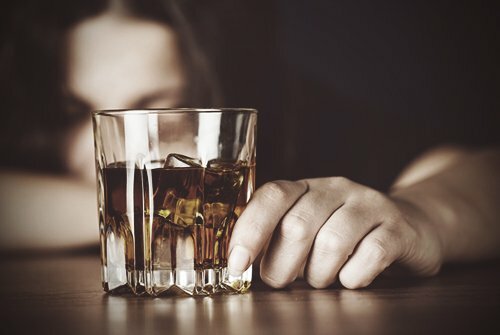 As substance abuse is increasingly becoming more common and many are increasingly perceiving drug and alcohol addiction as a mental disorder, a bigger number of insurance carriers have come up with coverage to offer financial protection to those who require the often expensive and lengthy treatment procedures. In the U.S., gradual progress has taken place to ensure insurance plans offer more comprehensive cover for people seeking treatment for alcohol and drug abuse. United Healthcare is one such provider, which offers a range of policies with different levels of coverage. The provider been in operation since 1977 and has since become one of the giants in American medical insurance. It has a broad service portfolio, including self-insured programs, Medicare subsidies, and more. To ensure those recovering from alcohol and drug addiction obtain the best care, the insurance provider has a separate division, which offers confidential services for persons to speak with a healthcare professional who deals with substance abuse. It’s reassuring to know that United healthcare drug rehab coverage continues to offer hope to those who find themselves trapped in the cycle of addiction. In 1996, the government employed the Mental Health Parity Act, which ensured that physical and mental disorders received a similar coverage level. This marked the first step towards providing fairer policies for everybody although the new scheme still didn’t apply to persons suffering from alcohol and drug dependency. This would take place in 2010 following the introduction of a new law that covered the treatment for substance abuse as well. Under this act, if an insurer offers coverage for those with substance abuse and mental health disorders, they have to provide similar benefits and issue similar costs as those seeking coverage for diseases and ailments that are more conventional. The amount of coverage an insurance agency offers will differ from one contract to another. A common distinction is that the policy will merely include costs incurred in the treatment’s detoxification stage, instead of the lengthier rehab stage. This is because people typically see detox as a medical treatment while rehab comes across as more psychosocial. If you’re seeking financial assistance with substance abuse, you should ensure you have coverage for both stages. This is particularly important because rehabilitation takes a longer duration than detoxification and can be more costly as a result. Other differences that exist within insurance plans include outpatient and inpatient care, lifetime and annual benefit limitations, as well as cost sharing and out-of-pocket copayments. Numerous insurance options are accessible to persons seeking treatment for their alcohol or drug addiction. Private and public health insurance often compensate a segment of the cost of inpatient or outpatient treatment for virtually every kind of addiction. If your insurance doesn’t cover substance addiction or behavioral plans, public insurance is available. This option can make outpatient or inpatient treatment affordable. The government subsidizes some treatment facilities entirely or partially and these treatment facilities accept federal or state insurance plans. Private insurance is any plan that you pay for individually or obtain through your employer. Furthermore, the federal government or its agencies don’t subsidize it. While this option is more costly than public insurance, the range of healthcare options available is more comprehensive than what government-supported plans offer. For instance, you can select from a huge number of drug or alcohol rehabilitation centers and they can pay a considerable segment of your treatment cost. Obviously, some drawbacks exist for alcohol and drug addicts when it comes to insurance. The first problem is that rehab centers aren’t required to accept insurance policies from every insurance provider. Consequently, patients may experience limitations when visiting certain facilities depending on their contract’s terms and conditions. This may generate difficulties, particularly with locations that are far from the person seeking treatment, or which are too expensive to obtain adequate cover. The second problem that might arise is the higher cost that abusers might experience. Insurers typically deem alcohol and drug addicts as high-risk persons. Consequently, they’ll hike their premiums to ensure they can still generate a profit even though there’s a higher likelihood of someone making a claim. These extra costs can become burdensome, particularly for those with low or middle incomes. Depending on the law in a person’s region, there’s also a likelihood that an insurer might reject a claim for reasons associated with alcohol and drug abuse. This circumstance can arise if a person sustains physical injuries after the consumption of alcohol or drugs. In this instance, the policy’s conditions and terms might permit an insurer to reject a claim thereby subjecting the person fully to his or her medical charges. To avoid this, some physicians only handle the person’s physical issues without providing treatment for substance abuse. In turn, this will offer the person a higher likelihood of making a claim though it means that the person could miss the treatment necessary to rid himself or herself of his or her addiction. In spite of these issues, it’s more beneficial for an alcohol or drug addict to invest in insurance when undergoing rehabilitation and detoxification. Nevertheless, both insurers and the treatment facilities have to make the right choices before a claim can occur affordably and comfortably. This is applicable to the charged premiums and coverage offered and careful research should take place before an individual takes out a certain insurance package. Fortunately, the drug rehabs that take united healthcare are numerous, so that’s a good starting point. Since the implementation of the Affordable Care Act, a growing number of insurance providers have expanded their behavioral health, mental health, and substance abuse coverage options for holders. United Healthcare offers rehabilitation coverage for holders seeking treatment for substance abuse related issues in numerous cases. As one of the country’s biggest medical insurance providers, numerous United Healthcare plans offer assistance for alcohol and drug treatment services. However, upfront costs associated with recovery programs may vary depending on your individual policy and state of residence. The insurance provider operates various plans under UnitedHealth Group (UHG)-the parent company. UHG has a broad range of individual coverage and employer-sponsored group plans. Most of these plans offer addiction treatment and mental health coverage as a possible healthcare option. UHG has a division-United Behavioral Health, which is committed to adopting the latest strategies and scientific models for treating addiction through the “Full Care Management” program. The program comprises rehabilitation treatment as well as the establishment of a support network through family, friends, and community resources. The majority of employers who offer United Healthcare provide addiction and mental health coverage. The Mental Health Parity Act (2008), which took effect in July 2010, expects companies with over 50 employees who provide mental health coverage to cover substance abuse, mental health, and addiction treatment on a similar level as physical therapy, surgeries, among other hospital services. Most employers and healthcare providers take an incorporated approach to substance addiction and abuse recovery options seriously. If Employee Assistance Program exists in your company, that’s a great place to begin in establishing the available resources to help you through recovery. Bear in mind that individual coverage is somewhat tricky because UHG is a national company and state regulations differ greatly with respect to substance abuse, mental health, and addiction coverage. In some plan categories, the insurance provider offers addiction and mental health coverage as a normal inclusion while in others it’s an extra coverage option. If you’re on the path to recovery from substance abuse and are seeking treatment, it’s imperative you collaborate with your insurance provider as you consider treatment options. While plan exclusions and provisions can be overwhelming, some fundamental information will help you understand the available treatment services. When seeking treatment, you must conduct research on the drug rehabs that accept United Healthcare. Since UHG is a huge, national insurance provider, it has one of the biggest provider networks accessible. Therefore, you’ll have a broad range of options for substance addiction and abuse as well as access to numerous drug rehabs covered by United Healthcare. A PPO network policy will typically provide a broad range of treatment facilities than other available plans. Some policies might even have pre-certification prerequisites based on the services provided and whether the program is outpatient or inpatient. Remember, treatment facilities don’t always have to be in-network. Nevertheless, it’s important to confirm with a representative from United Healthcare to establish your out-of-network coverage and the costs you’ll be responsible for. Inpatient coverage is solely dependent on the kind of plan you have with United Healthcare and the state you live in. Besides family and individual plans, the insurance provider has short-term medical plans, which may cover a treatment program for substance abuse. According to the insurer’s guidelines, when a member seeks inpatient medical services, some requirements apply. For instance, services offered must fall under comprehensive, individualized plans. Bear in mind that some limitations also exist to elements such as the number of inpatient services the insurer will cover in your lifetime. As part of its short-term health plans, numerous individual policies from United Healthcare help cover substance abuse programs. The exception is the Short Term Medical Value, which doesn’t cover costs associated with alcohol and drug abuse treatment. The provider’s Short Term Medical Plus plans and plans that are more comprehensive approximately have a 20-30% deductible. Once you pay your deductible, which can range from $1,000-$10,000 insurance will take effect. Keep in mind that the policies have a maximum term of $3,000, which implies that you’re responsible for anything beyond this amount. The provider’s outpatient rehabilitation resembles the inpatient benefits provided. One of its lower level policies, short-term coverage provides help to cover alcohol and drug rehabilitation; however, accrued expenses may differ. The insurer’s outpatient coverage for the short-term plan involves 20-30% coinsurance after paying the deductible. For individual outpatient visits, patients are restricted to $50 per visit. For short-term coverage, a $3,000 policy term maximum exists per covered individual. Whether you’ve purchased the insurance individually or from your employer, it’s important to bear in mind that even if your plan covers your treatment facility, you might still need to pay a segment of the treatment cost. The precise proportion differs since different plans have different deductible and copays. The amount you owe is also dependent on the type of treatment you obtain. For instance, inpatient rehabilitation is considerably more costly than outpatient rehabilitation and thus frequently needs a higher contribution from a patient from the perspective of the insurer. With United Healthcare, you’ll typically not have out-of-pocket treatment expenses. The exception applies when you want some amenities that aren’t deemed medically essential. They include specific treatment like art therapy or acupuncture. In such cases, you have to cover the expenses privately. It’s important you examine your summary of benefits to establish your pre-authorization requirements and the copay requirements. Detox is the first step of obtaining an addiction treatment and it’s important you undergo a detox in a medically-supervised environment. United Healthcare has Optum Health business, which includes detoxification. However, it’s important you establish what the insurer covers exactly. Alternatively, you can inquire from the rehabilitation center. This will occur confidentially at no cost. However, United Healthcare doesn’t cover some elements of detox, including additional costs related to methadone maintenance and outpatient care. Once you undergo detoxification, rehabilitation will be the next stage. Rehabilitation is a treatment process that focuses on various issues, such as establishing the reasons behind your addiction and developing strategies that enable you to handle trigger circumstances in which you would ordinarily turn to substance abuse. United Healthcare will cover some of the treatment depending on the plan; hence, the percentage of coverage will differ. Moreover, they’ll probably place limitations on the duration you can remain in treatment. For this reason, it’s common for rehabilitation facilities to offer patients scholarships in case more treatment is necessary but the insurance company won’t cover it. A significant element to understand with United Healthcare is that some policies have an MNRP segment for alcohol and drug rehabilitation coverage. MNRP is Maximum Non-Network Reimbursement Program-a Medicare-based program. It’s necessary to know that if you have this on your policy then your alcohol and drug rehab coverage will be decreased to Medicare rates. As a result, you’ll have a decreased ability to obtain coverage compared to a non-MNRP policy. Whether you’re buying United Healthcare individually or obtaining it from your employer, you must understand that your mental health and substance abuse benefits differ from your general medical plan. You might have coverage, but it might be weak. Therefore, it’s important you have a PPO policy, which doesn’t feature the MNRP. Every addiction story is distinct and so is the treatment that persons receive. According to NIDA, treatment should last at least 30 days for it to be successful. During intake, drug counselors typically establish the duration of treatment depending on your medical and abuse history. While insurance plans differ, those that cover treatment for substance abuse typically have different allotments for various parts of drug rehab. For the detoxification phase, insurance typically covers 3-10 days depending on your assessment upon arriving at the detox facility and the drugs you were taking. 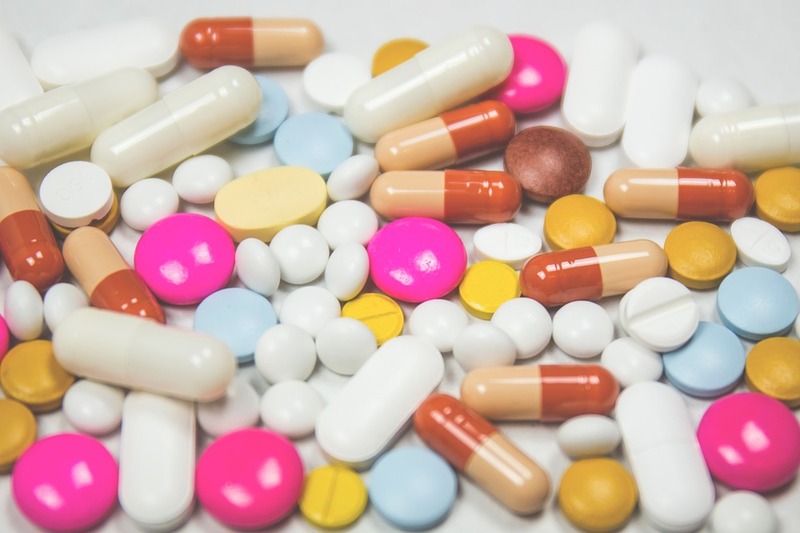 For instance, if you’re detoxing from drugs such as benzodiazepines and alcohol, insurance will typically cover a safe detox since the withdrawal from them can be life-threatening. However, not all insurance plans cover medical detoxification from opiates, for instance, heroin. When it comes to inpatient treatment, insurance covers rehab for 28-60 days on average. Bear in mind that the treatment facility has to offer comprehensive reports on your progress to the insurance. Some plans cover a specific duration upfront and then re-evaluate at the end of the period, establishing whether to maintain coverage. Throughout a holder’s lifetime, United Healthcare will offer coverage up to 190 days in a residential hospital (psychiatric) and members must reveal a medical need for more than a single admission to a facility for substance abuse. You might need specialized treatment that goes beyond health treatment in numerous circumstances. For instance, you might wish to attend a women-only facility or a faith-based program. Alternatively, individuals occupying senior work positions might require an executive program to continue meeting some responsibilities. United Healthcare will unlikely cover this cost, providing you with coverage at a rate that a state facility would cost. Therefore, your out of pocket costs will probably be higher. In the event that your United Healthcare plan doesn’t cover 100% of your treatment, and you lack sufficient funds, you can consider other options, for instance, grants, loans, and scholarships. Your insurance provider will typically cover preventive care in full. It will also cover outpatient and detoxification programs. However, inpatient programs might have partial coverage. Other services that insurers typically provide include intervention and screening services, group or individual counseling. Services that are likely to face exclusion from coverage include some holistic care, luxury services at upscale facilities, or other nonmedical amenities. A number of states also have laws that permit private insurers to reject coverage to intoxicated persons at the time of seeking service, especially if emergency care is necessary for an illness or injury because of taken actions during intoxication. Numerous United Healthcare policies cover the majority of therapy that occurs in a residential rehabilitation, including personal and group therapy, family therapy, and education services among others. Simultaneously, limitations exist when it comes to what United Healthcare will cover when you’re in a residential rehabilitation setting. Your best option, together with evaluating your Benefits Summary, is contacting a representative from United Healthcare to direct you through whatever documentation to demonstrate medical necessity, helping you understand the benefits as they relate to substance abuse treatment and rehabilitation. Detoxification and treatment at times need the use of prescription medication to alleviate withdrawal symptoms while discouraging relapse. While some plans such as Medicare state this explicitly, for others it can be hazy. Therefore, it’s best you establish this from your insurance provider to avoid any confusion. While the Affordable Care Act expects all insurance providers to cover addiction treatment, not all plans cover all treatment forms. Some plans might also put a limitation on the number of prescriptions you might receive while under medication-assisted treatment. Moreover, Medicaid might not cover methadone. Most insurers provide policies that cover Suboxone, but some plans require you to cover most or some of the costs related to care. Bear in mind that some policies require you to obtain a prescription from an in-network provider. Consequently, it’s important to examine the policy’s specifics before you seek care. You’ll discover that United Healthcare drug rehab providers cover Suboxone for opioid dependence. United Healthcare policies also provide comprehensive coverage for prescription drugs. For numerous people, the cost of treating alcohol or drug addiction is an obstacle to recovery. They don’t seek help since they think it’s out of their economic reach. Fortunately, insurance policies frequently cover a portion of the treatment. United Healthcare, for instance, is a top medical insurance provider that provides a range of services, including coverage for substance abuse treatment. If you or a loved one is seeking a suitable provider, United Healthcare may cover some costs of residential rehabilitation as well as follow-up care and outpatient rehabilitation. For information about a long term drug rehab or for an United Healthcare inpatient drug rehab call our helpline and speak with a admissions personal.